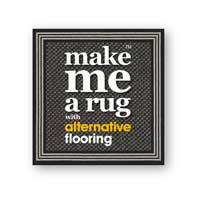 Alternative Flooring offer a complete bespoke rug collection made in literally thousands of options. 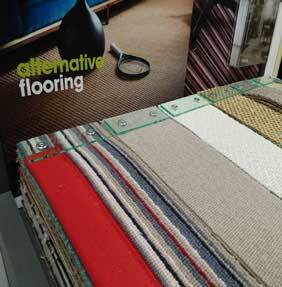 You choose the centre carpet from one of their many ranges, including wool, sisal, jute, seagrass and jute. Then you choose the border, this can be single or doubled with an outer and inner border. Choose from cotton, leather, linen and many more. Virtually any size up to 5 metres in width are available. You can even design your own rug via their website, please click on the Make Me A Rug Image. Once you have designed your rug you can either buy direct from Alternative Flooring or contact us for a price, if you're local to Warrington you can call into our showroom and view our Alternative Flooring display stand. This stand has just about every option available. Click on the image below to design your own rug, you can choose from 100s of carpet options and borders / edgings.